← How Do You Overcome Fear of Intimacy? Suvir and Ellen in our kitchen. I had enjoyed the weekend with a house full of guests and a big activity scheduled each day for four straight days. But by Monday, I felt like the guy strutting around in a tailored tux only to discover his fly had been down the entire evening. And I had no desire to host anything in our home or to go anywhere people frequented (like the family birthday bash a week later). Here are the three mistakes I made without recognizing them at the time. I assumed too much. Ellen and I picked up her special friend Suvir Saran at the airport, someone I had never met but she knew well. Ellen and Suvir had built their friendship over a year of constant correspondence and conversation. I assumed a deeper relationship with him because of her. I assumed too much. I said too much. While we were all in the car, I listened to Suvir share some important thoughts. I was so anxious to connect with him I wormed my way into the conversation and said something that offended him. We hadn’t even gotten home and I’d made him uncomfortable enough that he couldn’t look at me or relax in my presence for two days. I said too much. When offered a great opportunity to do more, I served too little. I wanted to crawl under the covers and hide from life. And I wanted to quit on hospitality and meeting new people. I’ve learned the value of James’ words. “Everyone should be quick to listen, slow to speak …” (James 1:19 NIV). In my recent devotional reading, I perked up when I read, “The good acquire a taste for helpful conversation; bullies push and shove their way through life. Careful words make for a careful life; careless talk may ruin everything.” (Proverbs 13:2-3 The Message). I bullied my way into a conversation and my careless talk ruined a couple of days with a guest in my home. I’m also more in tune with the Lord’s words. “… whoever wants to become great among you must be your servant, and whoever wants to be first must be slave of all. For even the Son of Man did not come to be served, but to serve …” (Mark 10:43-45 NIV). 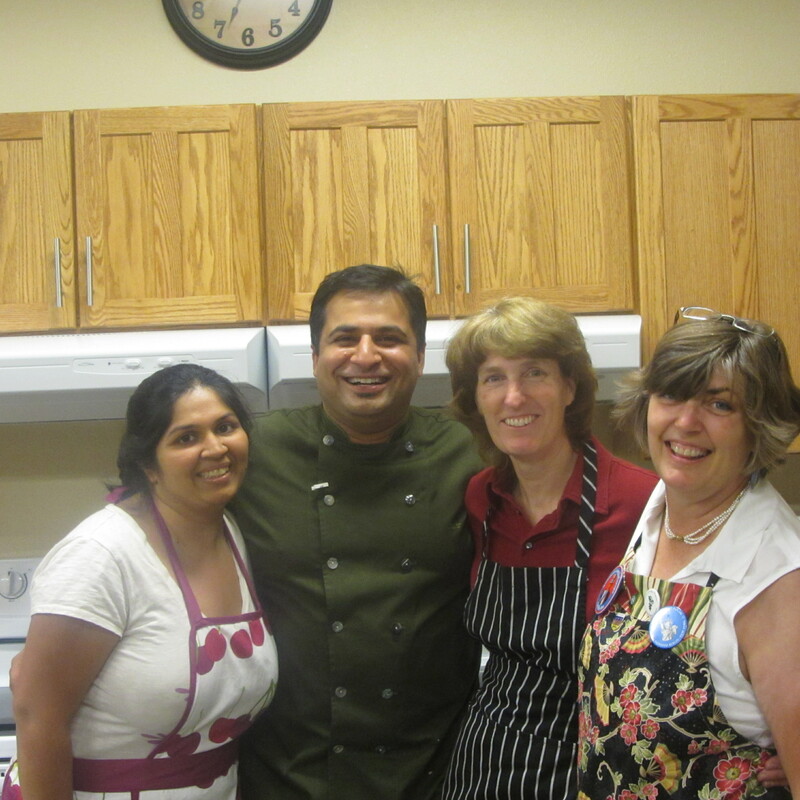 Suvir with the kitchen crew. Two people in my life have modeled this truth well. Al Vom Steeg, former president of the Mission Society, visited our team in Russia in 1995. The conversation I remember best took place in our small kitchen. His actions, not his words, made the impression. He stood beside Ellen and helped her with a sink full of dirty dishes. The leader of our missionary organization took a towel and served us. The second person? The guest I had offended. During Suvir’s visit, he spoke in front of a crowd on Friday night. After speaking, doing two food prep demos, and signing books, he joined us in cleaning up the kitchen and putting away the chairs. He was among the last to leave the auditorium where he’d been highlighted as the celebrity chef. And I failed in a big way. 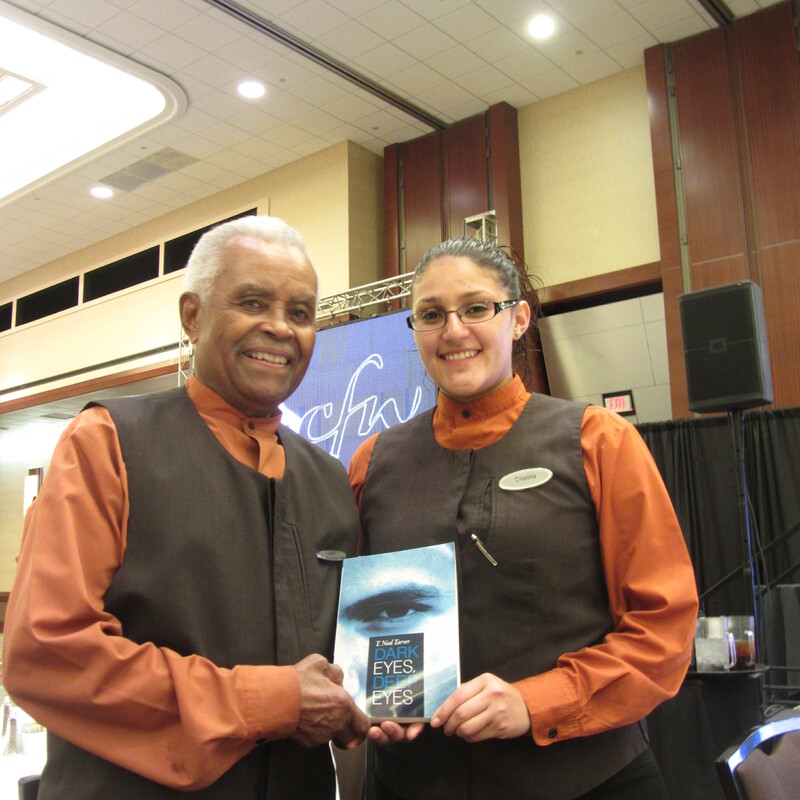 … and to serve always. Am I applying the lessons I learned? Feel free to ask Ellen. I’m curious. What has an embarrassing failure taught you? This entry was posted in Community and tagged hospitality, humility, poor listening skills, Service, Serving others, Suvir Saran, talking too much. Bookmark the permalink. We all mess up, but it takes maturity to admit our mistakes and to move forward with grace. These ouch opportunities teach some hard but lasting lessons (and much grace is required to live and learn through them). So appreciate your transparency here, Tom. Have seen way too much creating of alternate realities as a way of justifying actions lately, and am completely refreshed to see you stepping into ownership of mistakes. Thanks for setting the example. Makes me want to be brave too. I’m reading and studying John 5 right now where Jesus heals the invalid at the Pool of Bethesda. In reading the man’s responses, I’m more aware of my own excuses to remain unhealthy rather than becoming whole at the hands of Jesus. The bad weekend turned out to be tough, but good-for-my-soul learning experience. Tom, this gells so much with a conversation I had with a friend this afternoon. We talked about similar struggles we are having and the idea that perhaps we are holding on to the “healing” for some reason came up. Your mention of John 5 hit on something, I think. As you said, tough stuff but ultimately good for the soul. Hi Tom- I came across your blog today and read your words about your visitor. It spoke to me. I’ve talked too much and served too little many times. Your words made me aware of that (again.) Thank you. And thank you for not letting your fear stop you. I must “Rest in the Lord” more. Rest in love.